Johnny Rockets is a 50's style diner which has locations across the U.S. This particular location is situated inside the Grand Sierra Resort and Casino in Reno. I had never heard of the restaurant before coming to the Grand Sierra so I did not know what to expect. I like the 50s music and atmosphere so I was excited to try this place out. The servers here are really fun and entertaining. They follow the 50s theme. While you are eating the staff dances and sings. 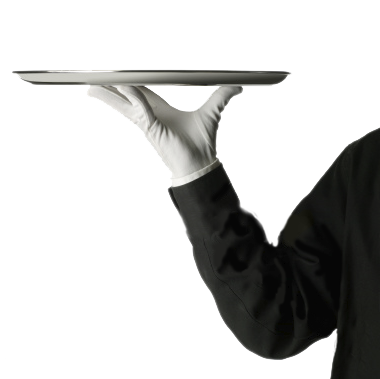 I love the 50s style atmosphere - all the waiters wear the old 50s style waiter uniform. There is 50s music that is playing in the background along with little jukeboxes on each table where you can purchase songs. Definitely a fun atmosphere that you don't really see anywhere else. Another fun aspect is that it is open in the middle of the casino, so you can see everything going on around you include the sports betting area. Another nice aspect of this location is the great hours. They are open from 10am to midnight on weekdays and 10am to 2am on the weekends. This is a great late night spot. Johnny Rocket's inside the Grand Sierra is a great place for grabbing some diner foods. Whether you want to watch the great views of the huge TV in the sports betting area or just want to be entertained by the 50s style music and entertainment, either way you can't go wrong.